Tom was amazing. Very friendly, helpful, professional and knowledgable. Took great pride in representing the company and the product. 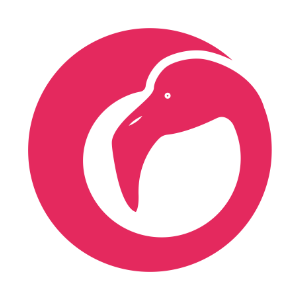 Top notch service and would happily use Flamingo/Tom again. Well done! They have been out to my house 5 times, different parts, different people. Same result no ice! must be too complicated! Every time have to take off work for the appointment waste of my time! Terrible service, can't fix an ice machine! Been to my house 5-6 times, still hasn't been able to fix my ice machine, must be too complicated for them! I just want ice! Miguel was an extremely friendly and knowledgeable young man. He ran a diagnostic on our refrigerator and answered every single one of our questions! This is the second time my Whirlpool washer needed repair. Fortunately it is still under warranty. The first time there was a wonderful and experienced man named Miguel so I specifically requested him this time. He did a wonderful piece of work, is careful, timely etc. I would always hope to have him as the one who fixes anything covered by Whirlpool. Service was fast and easy. Customer service top notch and they kept the work space clean. TECH WAS KNOWLEDGEABLE AND EXPLAINED ALL THAT HE DID AND why. Miguel seems like a future manager. Though he was not able to fix the problem, it seemed as if he did a good job. Unfortunately since the machine was not fixed, the pricing seems high. However Miguel spent several hours working on site so the pricing then seems fair. Regarding convenience, the fact that the customer must reserve their entire day for an appliance repair up until the night before the appointment when a three hour window is given is very inconvenient. The technician was called on his way to say he had no parts and didnt see any need to go, I asked that he at least show up and figure out what he needed! He was there 10 minutes took one screw off the back and said there was roaches and that was the problem. Since this is a rental I asked for pictures so I could address the problem. After 3 request I assume he wont be sending them, the tenant sent me pics and there was 6 roaches. The stove appeared clean. I could go on and on but will not. No I was extremely disappointed with this service. Sorry to leave a bad review but this is what happened. Miguel did an awesome job! He even showed me something about my dishwasher (he was fixing my range). I will call them if anything else breaks down. Miguel was terrific. He was pleasant, knowledgeable, helpful and thorough. He fixed my new Maytag dryer with a very positive attitude. He really seemed to enjoy his job. 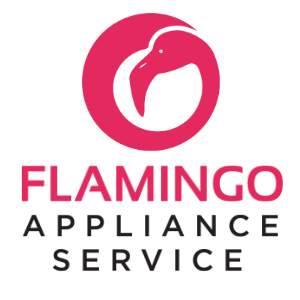 Flamingo Appliance would be wise to have Miguel train all of your field technicians. We were having difficulties with our new refrigerator dispensing ice. Two Flamingo technicians, Joey and Miguel, assessed the situation and ordered needed parts. They were knowledgeable, polite and professional. Miguel was knowledgeable, professional and patient. I appreciated his work ethic. Mr. Vallejo did a great job! Once the technician got there, the service was quick and professional. However, I was given a call at 11:50am to tell me the tech would be there in 15 minutes, and they did not arrive until 1:00pm. I had to leave work for the service call, so it was frustrating that I was waiting around for that long. Miguel was kind, knowledgeable and kept me informed about the repair. Miguel was prompt, efficient and personable. An excellent experience. DISHWASHER WHIRLPOOL WDF331PAHS0 Unit is not washing properly due to failing sump pump motor. Removed the old and installed new sump pump assembly. Ran diagostics and it is now operating as designed. WASHER WHIRLPOOL WFW560CHW0 Unit 838 -- Spoke with Donna A#WJWB5JWNPL2 Latch is not engaging removed unit and inspected harness power is being sent to latch. Removed latch and installed new one. Ran diagnostic. Unit is now completing cycles. WASHER WHIRLPOOL WTW4616FW2 FCC-- Unit is going off balance. Checked codes for any errors. Ran calibration cycle. Advised of use and care of the top load washer. Unit is fully operational. WASHER WHIRLPOOL WETLV27HW0 FCC-- Unit 903 ---Installed the control board and calibrated the washer due to unit is failing to complete cycles. Tested unit and it is now operating as designed. RANGE AMANA AER6303MFS0 Documented with Asurion spoke with Crystal 7724613094 --- The home is infested with roaches. Took pics of roaches climbing up the walls and behind the unit also took pics of roaches on the control board. OVEN WHIRLPOOL WFE520S0FS1 FCC-- Unit 1523--Range is not operating on bake. Removed the old failing board and installed new board and ran cycles. Unit is now operating as designed. MICROWAVE JENN-AIR JMC2430DP01 "INSTALLED NEW POWER CONTROL BOARD AND UPDATED UI, UNIT NOW POWERING ON AND RUNNING/HEATING PROPERLY - TESTS GOODAuth JJUIG00NL2"
DISHWASHER WHIRLPOOL JDB9800CWP2 "found wiring not fully seated into pump, resecured wiring, and also ran auto cycle to confirm all functions and heater working proper, also advised customer on all cycle settings/operations/cleaning - tests good"
REFRIGERATOR JENN-AIR JFX2897DRP02 "icemaker not working, ran diagnostis all fans/thermistors working properly, icemaker reading E2 lost position, able to force fill icemaker, replaced ice maker - tests goodAUTH JJUTO00AP1"
REFRIGERATOR KITCHENAID KBFN506EPA01 FCC-- Over temp alarm is going on. Installed the thermistor and tested unit. Unit is now fully operational. WASHER MAYTAG MVWB750WR1 Used shop vac to remove water.needs drain pump and board per failure. WASHER MAYTAG MVWX655DW0 Unit is not draining water out. Found board failing. Removed the board and installed new one. Calibrated and ran diagnostic test. unit is up to specs. REFRIGERATOR MAYTAG MFI257OFEZ03 I found water line connected straight to filter. Customer needs to turn off water to the refrigerator before changing filter due to the way its installed. DRYER WHIRLPOOL WED560LHW00 Partner team spoke with Ryan A# wjt6e00nl2 RUnit is not starting- Removed stackable unit and inspected terminal connections at board. power is 240V Found loose connector at board. Ran dianostic and ran calibration cyle. Unit is now operating up to specs. REFRIGERATOR WHIRLPOOL WRF535SWHZ00 "FCC --temp is 72F home freezer is -1F temp in fresh food is 38F Customer states meats look like they defrost and cool again. Light in freezer is off-- she notices frost up in the fresh food section.Sterling - File# 7724604477 ran inspections and checks- permagum was placed on top of freezer gasket, applied silicone around freezer liner and refrigerator liner. Unit is now up to specs." WASHER WHIRLPOOL MVWB766FW1 installed the new valve and ran unit. tested and calibrated. Unit is up to specs. WASHER WHIRLPOOL WFW5090GW FCC-- Joel File# 7724605901 If tumble fresh is selected it will it will tumble periodically for up to 6 hours and will remain locked. They do not have to use tumble fresh. 3 to 4 minutes -- If customer calls back once unit is running on new program mode normal only -- need 2 man and control and latch. WASHER MAYTAG MHWE201YW00 The unit is has leak due to worn bellow. Removed front panel and installed all new parts. Tested unit and ran calibrartion cycle. Unit is now operating as designed. ICE MACHINE KITCHENAID KUID308ESS "INSTALED NEW COMPRESSOR START, FOUND UNIT NOW COOLING PROPERLY AND STARTING TO FREEZE/MAKE ICE"
REFRIGERATOR WHIRLPOOL WRF535SMBM00 "INSTALLED NEW COMPRESSOR AND DRIER ASSEMBLY, PULLED PROPER VACCUM AND CHARGED UNIT 5.0Z R134A, FOUND UNIT NOW RUNNING/COOLING PROPERLY - TESTS GOODWJRH400NL2"
DISHWASHER JENN-AIR JDTSS246GS0 "found unit not drying dishes, found unit was ot of rinse aid, refilled, ran diagnostics found 7/1 error, ran auto cycle to progam heater back on. Customer not poresent for repair, called and advised how about this issues and how to prevent further issues from occuring and cleaning unit monthly aswell with dedicated cleaners or using white vinegar for a chemical free option"
REFRIGERATOR WHIRLPOOL WRS312SNHW00 The unit is making a popping sound. Found clogged drain hose due to over time and use. Removed the ice with steamer and cleared line. Tested unit and it is now operating properly. WASHER WHIRLPOOL WFW96HEAU0 Found that the unit is leaking water out from the Scott at techline File# 7724583915 Checked the hose and clamp and the clamp is good and the hose or housing is not cracked. Unit is washing properly. ICE MACHINE KITCHENAID KBSD602ESS00 Installed new control board kit per pointer. Installed new LED lights and icemaker. Calibrated refigerator and tested unit. Unit is now fully operational. DISHWASHER WHIRLPOOL WDF330PAHS3 Unit 142-- not powering on. Found that the control board is non respsonsive. installed new board and ran calibration. Unit is now operational. WASHER WHIRLPOOL WETLV27FW0 FCC--The washer has failing valve. Installed new valve and tested unit. Unit is now fully operational.